Hmm never tried it but I’ll be checking it out. I don’t auto follow back.. and I haven’t check out FollowerHQ.. will pop over to check it out. I do use an auto follow back. I also go in to justunfollow regularly to delete people who have unfollowed me. Harriet recently posted..Should she or shouldn’t she give it back? Hmmm. . . No ~ have never tried it! And don’t know what Follower HQ is and don’t know what either one does?? 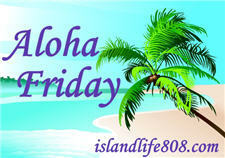 Happy Aloha Friday to everyone! Ollie McKay’s recently posted..Friday is. . . ."Aloha Friday" time! Never heard of FollowerHQ and I don’t auto. For your first question: Yes, I do use auto-follow. and your’ right, I tend to just ignore most of the updates. For the second question: I haven’t tried it yet. But I will try it later on.